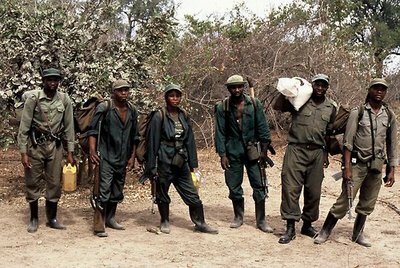 The Zambia Wildlife Authority (ZAWA) has implored government to absorb 800 village scouts countrywide and make them ZAWA Wildlife Police Officers so that they can foster conservation work. In a media statement released to ZANIS today, ZAWA Communication and Public Relations Officer Mwila Muliyunda said the village scouts were being considered for adoption into mainstream ZAWA in order to reinforce conservation work. Ms. Muliyunda stated that the move would greatly help relieve the burden of paying salaries for village scouts from the community resource boards. She has meanwhile confirmed that ZAWA has secured funds from government to pay all outstanding salaries for village scouts countrywide after community resource which are boards mandated to do so have failed to pay the scouts for the last three months. She added that government released the money to support the continuity of conservation activities in the national parks and game management areas in the work of suspension of hunting which has been a source of income.